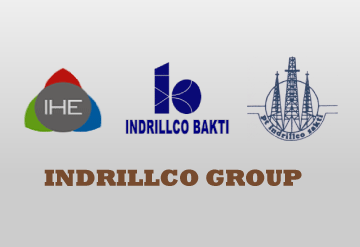 Indrillco Bakti is drilling rig company that establish since 1980 with supported professional experts and able resources. We are a pioneer in consolidating indigenous Indonesian oil and gas consultants. We provide a wide range of drilling at work over and targets the acquisition of marginal oil fields and undeveloped proven reserves. We are urgently looking for highly experienced Indonesian professional to join the team. Candidate must posses Bachelor Degree in Engineering or equivalent. Ensure all operation is based on drilling procedure . Ability to control all crew and ensure quantity and quality of drilling tools before and during the drilling operation. Ability to control all drilling tools purchases in terms of price, quality and delivery time. Candidates must be proficient in English communication skills (both spoken & written) and have knowledge of Personal Computer popular software. Fraud warning! Indrillco Bakti and its affiliates DO NOT charge candidates fees or request payments of any kind at any point during the recruiting and onboarding process. Thanks for reading Indrillco Bakti Jobs: 2 Position. Please share...!